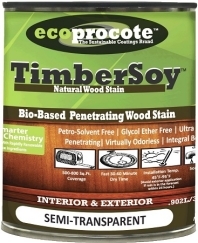 There are three major types of stains for interior wood: water-based stains, oil-based stains and gel stains. 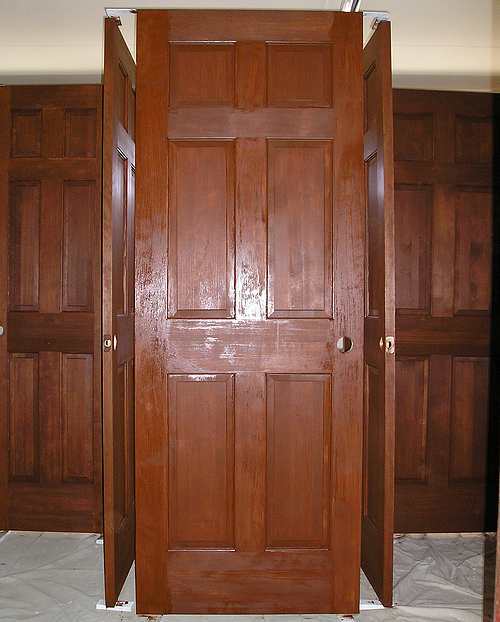 Each different interior wood stain type has its pros and cons and should be used in the right places. Oil stains take longer to dry but are better for trim, while water stains are faster but are difficult to use for large projects. Gel stains work best for areas with difficult surfaces. Oil-based interior wood stains have pigment in a mixture of resin/solvent, just like oil paints do. These take a long time, as much as 24 hours, to completely dry. This makes it easy to control the intensity of the color, especially on large projects like redoing your interior wood trim. However, for shorter projects, it may be better to use a faster-drying stain. Otherwise, the refinishing can easily absorb a whole weekend. Although any finish type can be used, you should use a solvent-based finish to ensure the finish won’t peel or flake. Water-based interior wood stains are similar to latex paint, in that they have pigment in a resin/water mixture. Unlike oils, these stains do not take much time to dry. That’s a definite bonus for many refinishing projects. However, because they dry so quickly, water-based stains require careful supervision to ensure the color turns out the way you want. As a result, it is probably best to use this type of stain only for small projects that you can keep an eye on. Water-based interior stains are the best for projects you want to get done quickly. Gel stains are a pigment suspended in paste that becomes liquid as it is wiped on a surface. It has a drying time in between oil and water-based stains. One big advantage of gel stains is that they can be applied without stripping the finish beneath it, making it easier to apply. However, they are harder to apply evenly. As a result, gel stains are best for small or difficult surfaces with intricate areas. Gel stains are also the best type of stain for fiberglass, making this a good stain option for a fiberglass door. They are the best option for veneer and plywood. They are popular for refinishing kitchen cabinets because they can breathe life back into dull cabinets without requiring as much work. They can also be effective for smaller projects like a mantle. At the same time, gel stains don’t soak into the wood. It’s easier to scrape the color off. This is something to consider if you choose to change the color of your kitchen cabinets and are rough on your cabinets. The type of interior stain to use depends on the project. 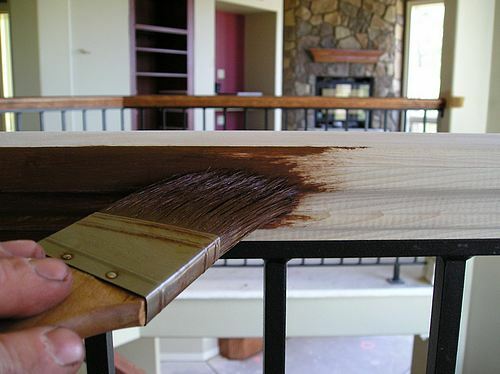 For larger wood refinishing projects, oil stains are the best, but they do take a long time to dry. Water-based stains dry much more quickly, making them better for small projects that you want to get done quickly. Fiberglass, veneer, and plywood are well suited to staining with gels.